"Shadow Mountain" redirects here. It is not to be confused with Shadow Mountain Records or Shadow Mountain Publishing. 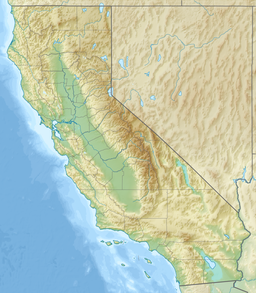 The Shadow Mountains are located in the Mojave Desert of eastern California in the United States. The mountains lie in a generally north-south direction south of the Kingston Range and east of the Avawatz Mountains and the Silurian Hills. The Eastern Star Mine is located at the western edge of the range, and the Kingston Spring is found in the northwestern part of the mountains. The Shadow Mountains lie to the north of the small community of Halloran Springs, next to Interstate 15.